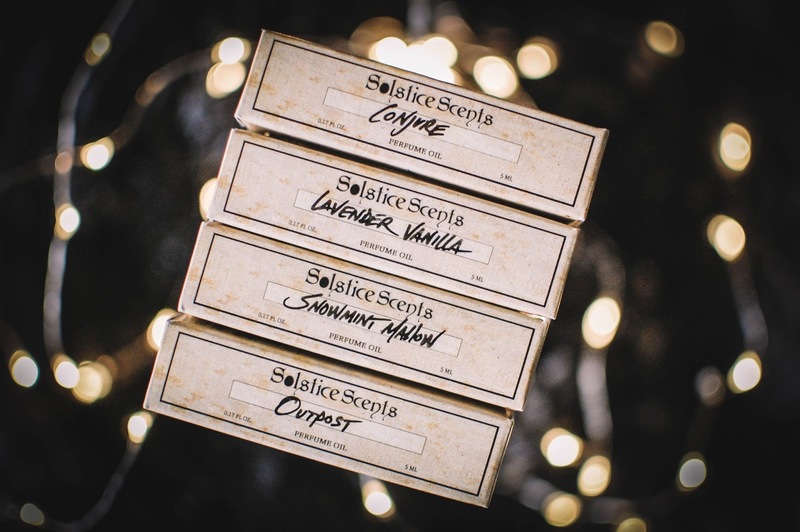 Solstice Scents had a mini spring restock back on June 3rd and once I saw Lavender Vanilla Creamy Whipped Soap was going to be there I set my cap on her. I picked up three of these tubs at $10 each. Having used Angela's stellar Creamy Whipped Soap in Manor, I am familiar with the ultra light creamy goodness and knew I wanted to stock up. This soap bubbles and froths and cleans with gentle nourishment. The scent in Lavender Vanilla is calming and sweet and full of French lavender goodness. I even used this as a shampoo with nice results. I also picked up four perfume oils in some scents I have sampled or owned in glace format and one that was a winter sale item. These generally ran around $15. Conjure: Notes: Vanilla, amber, cedar, spices and cauldron smoke. This conjuring proceeds in the sweet and soft places of a witch's bosom. Her hands smelling of the cedar box that houses treasures and cedar shavings that burn in a shell on the wooden countertop. 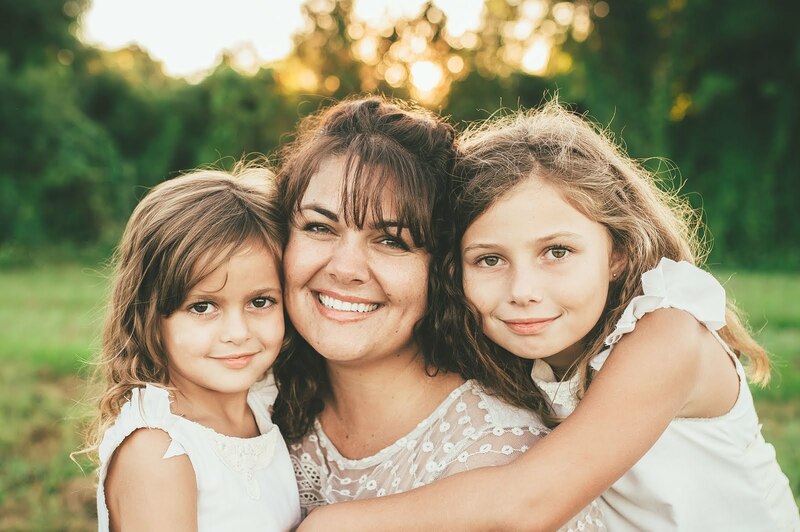 Her neck fragrant with the vanilla oil she anoints herself with; her home fragrant with the jar of powdered vanilla and sugar that warms in the sunlight of the window shelf to attract happiness and affection. 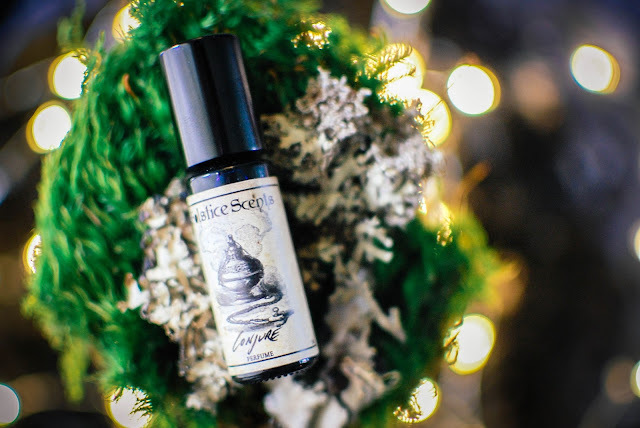 This vanilla cedar perfume that surrounds her sparkles with the spice of nutmeg for luck and cloves for friendship that cling to her shift, those errant ingredients that flew from the mortar and pestle. Finally, the soft halo of ambered smoke clings to her long curls and the one lock that falls into her field of vision as she works near the hissing and popping fire. I am finding the oil to be more sweet and fluid than the crackling sparks of the EDP for this scent. I think I may need to resample the EDP soon. 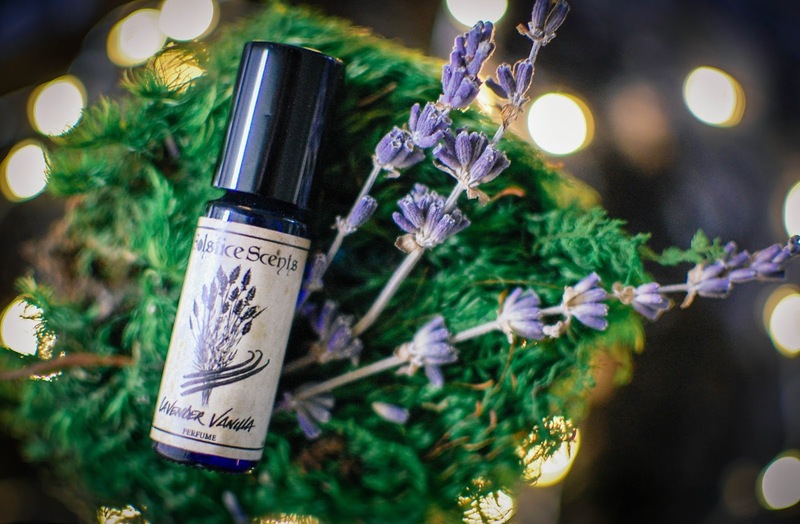 Lavender Vanilla- Notes: Lavender essential oil and sweet creamy vanilla. Heady, rich lavender, concentrated yet smooth and sugar sweet with silvery strains of crystal clear vanilla. Still one of my favorite renditions of lavender and vanilla to date. If this ever comes out in an EDP I will buy it and spray with absolute reckless abandon. Reckless abandon. Snowmint Mallow- Notes: Peppermint, vanilla cake, flaked coconut, sugar cookies and marshmallow creme. 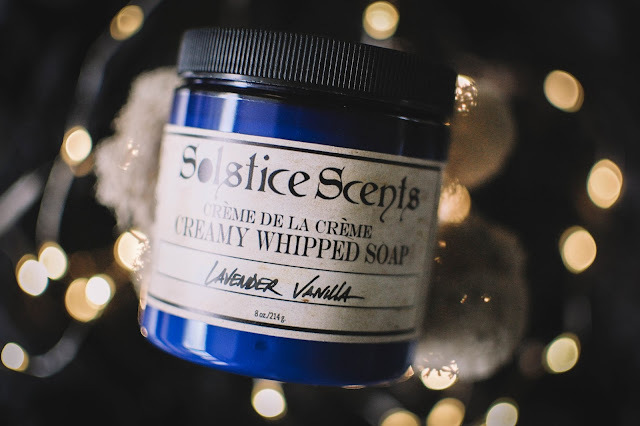 The chill of sweet creamy peppermint blooms on the wrist and then melts off softly to reveal coconut milk and then later, coconut flesh. Airy pillows of marshmallow and light crisp sugar cookies fold into the coconut milk and then bloom into a vanilla delight. Muck boots crunching in the snow, headed to the lean-to shack in the mountains that offers succor to those with frostbitten mitts and noses. A primitive garland of bayberry boughs, pungent and green, swath the wood shingles above the weather beaten door. The surrounding evergreens cast blue shadows and camphorous perfume into the frigid air. Stomping the snow off the boots and stepping inside the outpost shack, ducking to avoid the tongue-in-cheek mistletoe hanging in plain view, the warmth of amber glow and resin greets the chilled soul from the fireside hearth and scattering of oil lamps. Woods, resin and earth, comforting strength, almost virile. 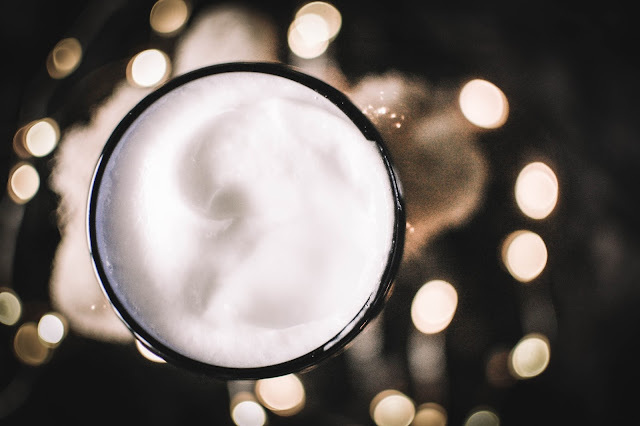 A softly boozy chocolate liqueur top note rolls off the skin in hazy tendrils, soon to join that deep rich tobacco note. 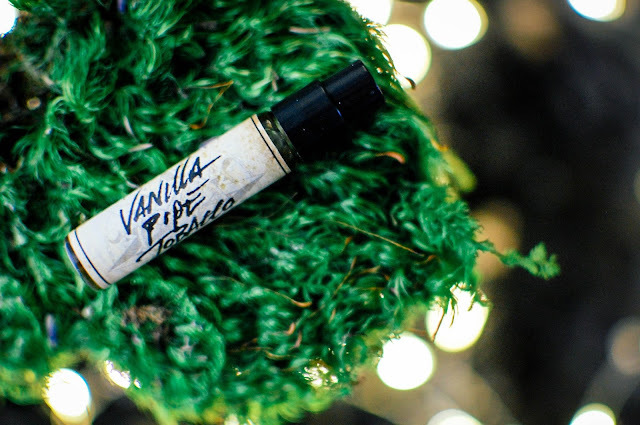 The cured tobacco emerges in a cloud of homespun vanilla and warm tonka beans. The pipe smoke pulls so sweet and delicious that it very well must smell just like the pipe smoke that wreathed Santa's head the night before Christmas. I cannot stop smelling myself. This is my kryptonite. A full bottle will be had. 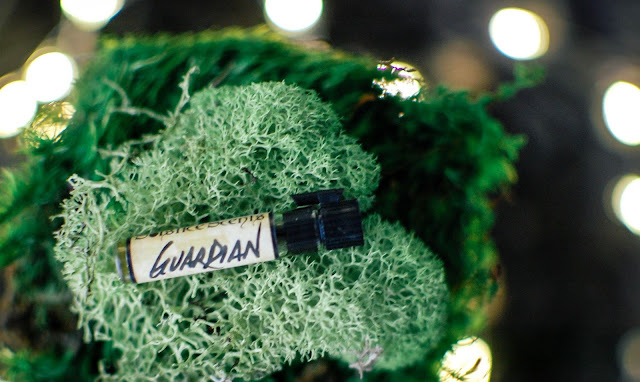 Guardian- Notes: Natural forest amber chypre blend with amber, sandalwood, vetiver, patchouli, oakmoss, white sage, desert sage, pinyon, spikenard, oud and more. 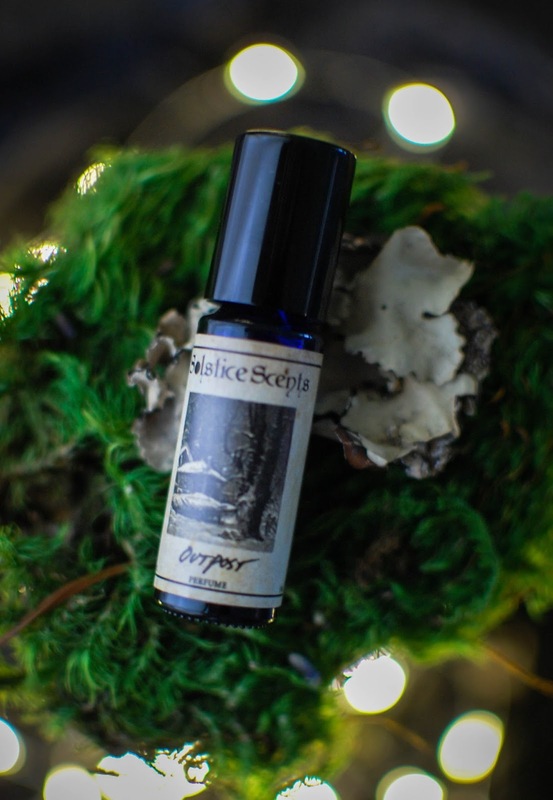 A crystalline chypre that starts with an aged bergamot and golden aldehyde nuance that reflects tawny motes swimming in liquid late afternoon sunlight pouring into an old growth forest. The dancing orbs float down to rest in the carefully formed nest of a forest creature. Quietly animalic, plush with oakmoss and grassy vetiver, crisp pine needles and sage, soft as a lamb's ear. The base of the scent cradles that classic chypre finale of smooth creamy sandalwood and sepia toned musk. The sun has set and the gloaming rolls in. The motes settle and rest for the night in the warmth of the wood. 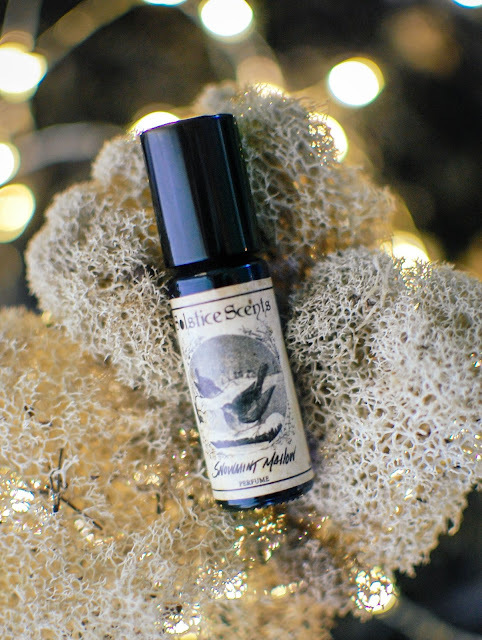 My tumble down the Solstice Scents hole continues to throw more and more beautifully fragrant experiences my way. Have you sampled any of these? Are there any current Solstice Scents aromas you are wanting to give a whirl? I was just about to run to the comments and say that all that Lavender Vanilla needed was a little mint and it would be perfect,then I scrolled a little further and hit Snow Mint.. Ahh it sounds amazing! Just splendid! Outpost sounds lovely too. Wonderful order, and you know how I feel about that Snowmint Mallow...mmm mmm, good. And really quite nice to wear something a bit minty in the sweltering temps of the summer. Enjoy your goodies! Thanks! I am thrilled with the scents. Hoping to save for a full bottle EDP of the glorious Vanilla Pipe Tobacco. Also looking forward to the fall releases this year. I agree! The touch of mint in summer is pure bliss.